Players who achieve a high placing in an event sanctioned by the ABF are awarded masterpoints according to their placing and the number of pairs, individuals or teams who played in the event. 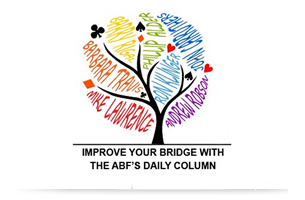 The ABF Masterpoint Scheme is intended to stimulate interest in the game of bridge, provide means of measuring player achievements and assist with the financing of the ABF’s national and international commitments. Each year the player who has accumulated the highest number of masterpoints that year is the winner of the McCutcheon Trophy. Some events provide “playoff qualifying points” (PQP) which allow players to qualify for a playoff event that determines which teams will represent Australia at international world championships. Information relating to ABF Masterpoints Centre. Information relating to Playoff Qualifying Points.